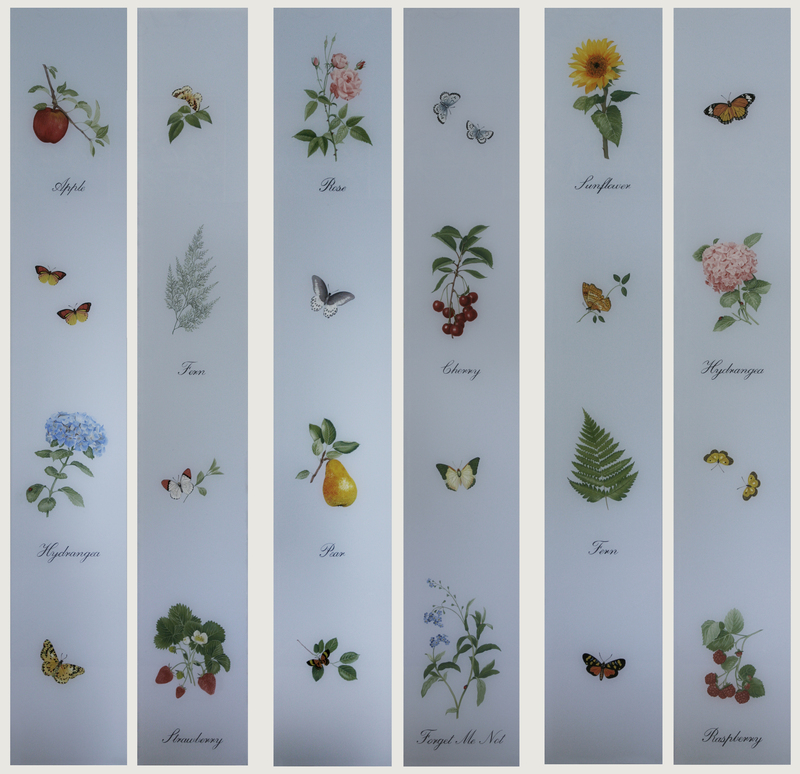 These six reverse glass paintings of fruits, flowers and butterflies were installed as panes in the doors of a large custom pantry cabinet. Each glass measures approximately 12″ by 48″. 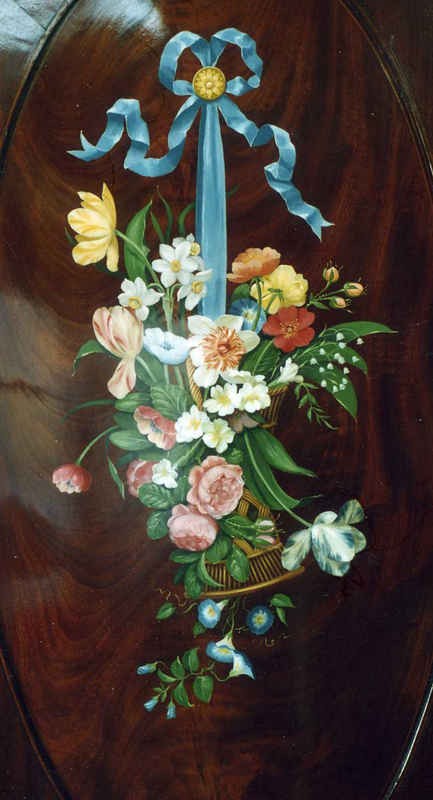 These twelve reverse glass paintings of six fruits and six flowers were installed as panes in the doors of a large custom pantry cabinet. Each glass measures approximately 12″ by 20″. 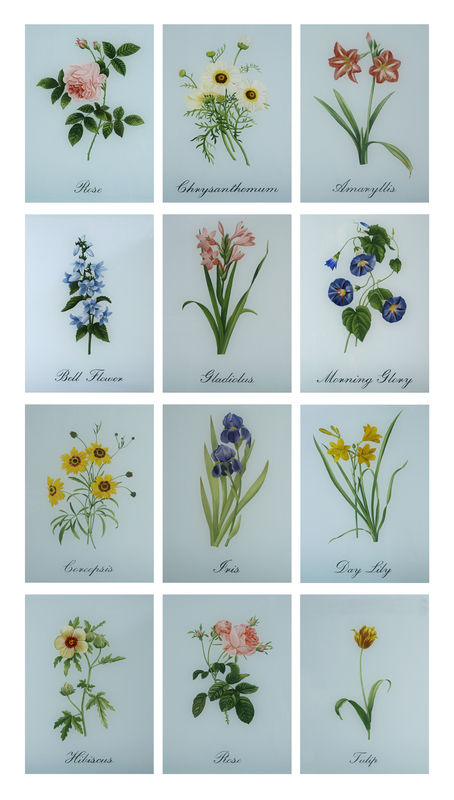 These twelve reverse glass paintings of flowers were installed as a backsplash over marble counter tops in a kitchen/dining area. Each glass measures approximately 12″ by 18″.